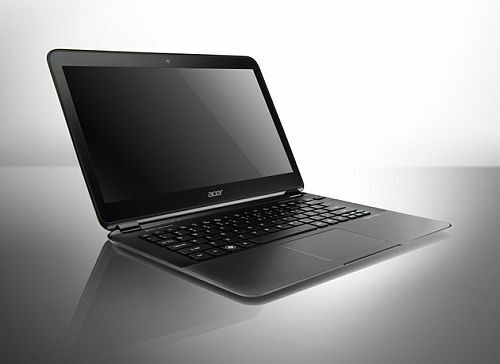 Acer has kicked off the Consumer Electronics Show (CES) 2012 with the launch of a new Ultrabook called Aspire S5, also touted as the world's slimmest Ultrabook. The new Acer Aspire S5 measures just 15mm (0.59 inches) and sports a 13.3-inch LCD display, an Onyx Black brushed magnesium-alloy cover and palm rest. The Acer Aspire S5 weighs just 2.97 pounds. 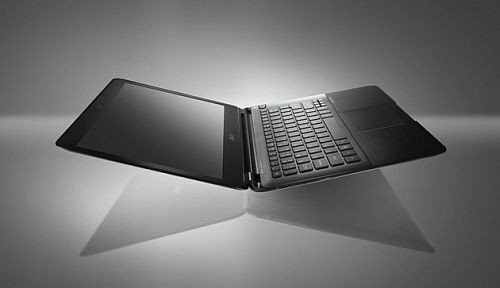 The Aspire S5 Ultrabook will be available in the second quarter of 2012. The back of the ultrabook has a special mechanism that Acer is calling "MagicFip I/O," where the HDMI, USB 3.0, and Thunderbolt (20Gbps) ports are located. Pressing the MagicFlip key opens the port cover panel, thus exposing the aforementioned ports. The Thunderbolt interface boasts faster transfer speeds than USB 3.0, FireWire 800, and eSATA. The addition of Thunderbolt is new to the Windows PC space, as it has only made an appearance on Apple's Mac laptops, desktops, and displays. The Aspire S5 will feature an Intel Core i-series processor, and the inclusion of Thunderbolt may indicate that it will be a third-generation Ivy Bridge CPU. There will also be a solid-state drive (SSD) for storage, Dolby Home Theater audio, and a chiclet keyboard. The ultrabook will also come with Acer's Green Instant On technology, which allows for fast boot and resume from sleep (1.5 seconds) times. It will also extend the battery life in sleep mode to up to a few weeks. Acer's Always Connect software will allow users to access the S5 remotely from their smartphone or another device to view documents, movies, and various other files. 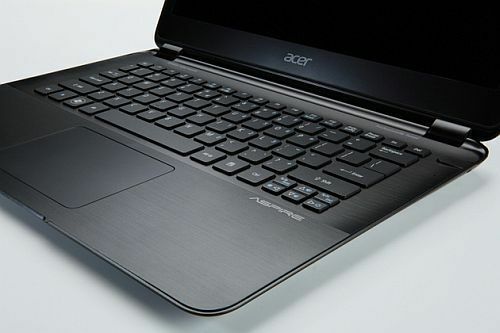 Acer's first entry into the ultrabook space was the S3, which PCMag reviewed in October. It also featured all of its I/O ports in the back, aside from an SD and AC slot, which were installed on either side of the laptop. During a press conference here at CES, Acer chairman and CEO, J.T. Wang, said the company is committed to "continually evolving" the ultrabook technology. 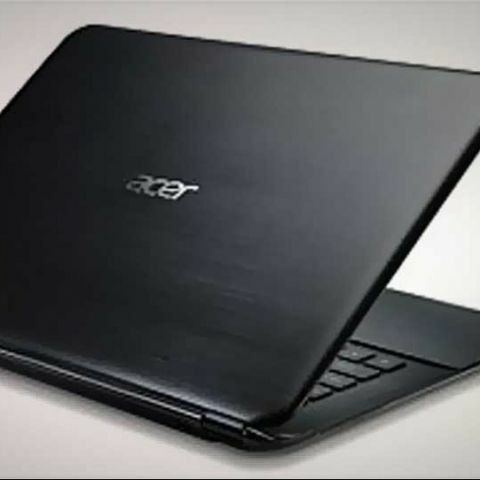 By the second quarter, Acer will have four ultrabooks, he said, including the 14- and 15-inch Acer Timeline Ultra models. That will expand with the release of Windows 8. Is 'affordable ultrabook' an oxymoron? Acer launches Ultrabook, a Macbook Air competitor at almost half the price! Which tablet is best DELL VENUE 11 PRO or ACER ASPIRE P3-171 ?